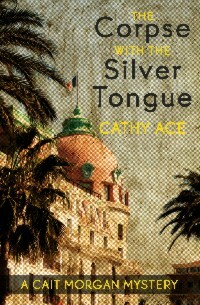 In the south of France a man seemingly admired, and certainly feared, drops dead at a dinner party. Each guest falls under suspicion, including Welsh-Canadian professor Cait Morgan. A criminologist specializing in profiling victims, Cait sets out to solve the murder. Add the disappearance of an ancient Celtic gold collar and you have the ingredients for a Nicoise salad of death, secrets, and lies. Will Cait find the killer before she too falls victim to a murderer driven by a surprising and disturbing motive?